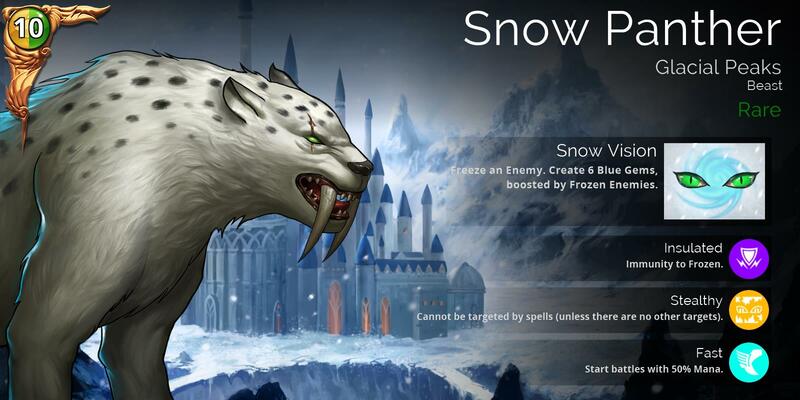 The Snow Panther will be available this week for 300 Glory in the Rewards tab of the Shop, and will appear in Glory, Gem, and Guild chests in 3-4 weeks’ time. 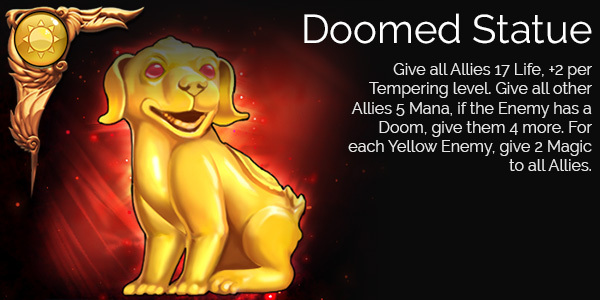 This week it will be available in both the Tower of Doom shop, and in the Soulforge. At first glance, the Doomed Statue’s head reminded me of Falkor from The Neverending Story. If that was official, then the devs would say as much. All the usual tells aren’t adding up. And I don’t know how it is in Xbox land. But we’ve never needed a chat update more than we do now. Tbh I’m not sure why people are excited for the next patch. Nothing of interest Imo at all really. It’s definitely the longest we’ve had to wait after the Stream Preview in recent history. Such a tease! That tells me it’s delayed. But the devs don’t need to tell us it’s delayed because they never gave us a set date of release. For any dev reading this. It’s disappointing either way. Whether you tell us a date or we imagine one. So honest to God, there’s no excessive harm to giving a date and then delaying it. It happens all the time to video games. A working global chat to recruit on. Supposedly 160k players did Ranked PvP this week. Over 3 days. I’ve witnessed maybe 50 different people in chat. At best. Having a super active chat may be worse for recruiting. Ever seen the comments on a popular stream? It’s like watching the end credits of a movie in fast forward. Guess what is going to happen once everyone is chasing Honor points, especially as it was shown on stream that there are daily rewards tied to possessing high Honor scores?